Peconic Partners is a registered investment advisor that was founded by William Harnisch almost 20 years ago. It is headquartered in East Quogue, New York, while offering an additional office in the Big Apple. At the end of 2016, Peconic Partners had around $544.30 million in regulatory assets under management on a discretionary basis. Its founder and the Chief Investment Strategist, William Harnisch cut his teeth and an analyst at Chase Manhattan Bank, after which he joined Forstmann-Left Associates as a Portfolio Manager and Research Analyst. After a while he was promoted to President and Chief Executive Officer, and played an important part in the company’s managed asset growth from $300 million to $5 billion, becoming a majority shareholder. Then, in 2000 Forstmann-Left Associates was sold and William Harnisch kept his ownership for the next couple of years. In the same year, he launched his own fund, Peconic Partners, and left Fortsmann-Left Associates four years later in order to fully devote to it. William Harnisch supervises all steps of the company’s investment process, and over the years he has guided his firm so well that it has managed to attain a compound annual return of more than 15% since its launching. He has more than 40 years of professional experience in investing, and back in 1977, he was awarded a Chartered Financial Analyst designation. 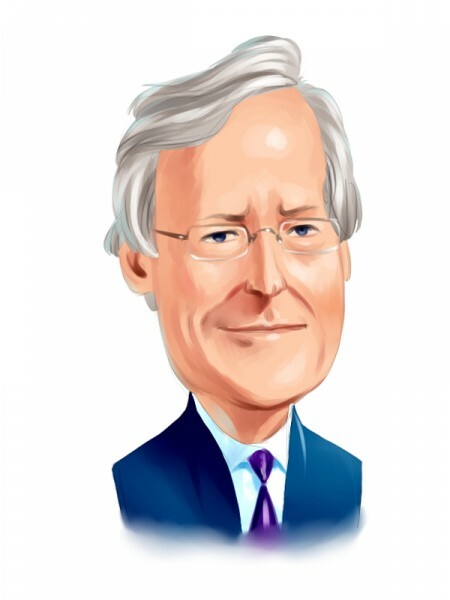 William Harnisch belongs to the CFA Institute, Chief Executives Organization, and New York Society of Security Analysts, is a member of the Baruch College Fund board, and he is also a philanthropist being active in many charity organizations. An interesting trivia is that he named his fund after a rich Native American tribe in Long Island. Even though this may seem strange and funny, William Harnisch is a very serious professional who picks investments on the basis of their power to endure all economic fluctuations. He earned his B.B.A. from Baruch College of the City University of New York and M.B.A. from the New York University. The fund’s investment philosophy relies on the combination of micro analysis of individual businesses and macro analysis of the economy. It invests in the public equity and fixed income markets, using long/short investment strategies. This investment approach requires continual examination of the stocks in order to follow up various innovations in a particular industry. Peconic Partners’ main goal is to bring back long-term positive returns despite various market circumstances. The fund has described its investment philosophy poetically, naming several essential principals it consists of: “Discipline and flexibility. Analysis and humanism. Innovation. Evolution. Vision. Insight. Experience. Consistency, not blind adherence.” Let’s examine its investment strategy by taking a look at some of its return figures. Starting from its Peconic Partners Int’l Fund Ltd, which delivered 17.39% in the third quarter of 2008. Moving on to its Peconic Grenadier, which had a compound annual return of 16.48% from 2007 to 2009, while in 2009 alone it gained 16.15%. Then, a couple of years later, or more precisely in 2013, Peconic Grenadier Fund brought back an impressive 33.05%. In the following year, it had a loss of 22.14%, only to come back in 2015 with a small but still positive return of 2.35%. In 2016 it gained 10.51%, whereas in 2017 it lost 9.36%. Last year also brought challenges, and Peconic Grenadier lost 15.44% through October. Its total return amounted to 1071.56%, for a compound annual return of 8.94%, while its worst drawdown stood at 46.52. Its Peconic Triumph Fund L.P. gained a great 25.60% in 2013, which was followed by a 16.79% loss in 2014, and a small gain of 0.94% in 2015. In 2016, it managed to generate a return of 11.90%, but in 2017 it went down by 0.18%. It also posted a loss in 2018 (through October) that was of 6.63%. Peconic Triumph Fund’s total return was 617.08%, for a compound annual return of 7.79%. Its worst drawdown was of 45.49. Last week our monthly newsletter identified another undervalued stock that is expected to increase its earnings by more than 10% annually and trades at only 10 times its 2019 earnings. We expect this stock to return 60% in the next 12-24 months. Email us if you are interested in this stock or subscribe here. We take a closer look at hedge funds like Peconic Partners in order to identify their best and worst ideas. At the end of December 2018, Peconic Partners’ portfolio was valued $408.61 million, and it counted 36 long positions. Among the top positions the fund held was one in Microsoft Corporation (NASDAQ:MSFT), one of the world’s largest multinational technology companies, widely famous for its GUI operating system for personal computers, called Windows. It has a market cap of 857.37 billion, and it is the most popular stock among hedge funds. Microsoft is trading at a price-to-earnings ratio of 25.91, and since the beginning of the year, its shares went up by 10.51%, having a closing price of $111.75 on March 6th. After Peconic Partners had raised its stake in the company by 70% its position counted 200,000 shares, which carried a value of $20.31 million. This position accounted for 4.97% of the fund’s equity portfolio. In its last financial report for the fourth quarter of 2018, Microsoft reported revenue of $32.5 billion compared to $28.9 billion in the same quarter of 2017 and diluted earnings per share of $1.08, versus a loss of $0.82 per share in the corresponding quarter of 2017. At the end of January this year, UBS Group set a price target of $125.00 with a ‘Buy’ rating on the stock, while more recently (beginning of March) Credit Suisse Group provided exactly the same analyst rating on Microsoft’s stock. You can find more details about other important investment moves Peconic Partners made during the fourth quarter of 2018 on the next page.